This Aerohive AP122 5 Access Point bundle is perfect for a 10,000 to 13,000 Sq. Feet office space. The bundle includes the 5 Aerohive AP122 Access Points along with a year of support. Additionally, we can also provide you with the install and configure the 5 Aerohive AP122 Access Point. If you have any questions about this bundle please call us at 212-219-0207 or email us at esales@etribeca.com. Flat Day per tech day to install Aerohive wireless system. Install includes installation of Aerohive Access Points up to (5) per tech day. Cable runs are not included. Separate Pricing Available. This Aerohive AP122 10 Access Point bundle is perfect for a 25,000 Sq. feet office space. The bundle includes the 10 Aerohive AP122 Access Points along with a year of support. 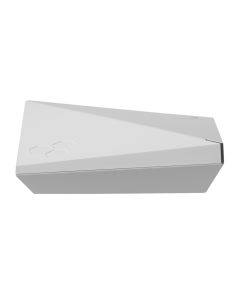 Additionally, we can also provide you with the install and configure the 10 Aerohive AP122 Access Point. If you have any questions about this bundle please call us at 212-219-0207 or email us at esales@etribeca.com. Flat Day per tech day to install Aerohive wireless system. Install includes installation of Aerohive Access Points up to (5) per tech day. Cable runs are not included.Separate Pricing Available. Installation and configuration of an Aerohive controller. Basic configuration will consist of: Customer provided SSDI names, security schemes and VLANS. Up to 3 SSID's Load current firmware for controller and AP's Naming of APs per customer provided information. Network services configured (Radius, DHCP, DNS). This Aerohive AP122 20 Access Point bundle is perfect for a 50,000 Sq. feet office space. The bundle includes the 20 Aerohive AP122 Access Points along with a year of support.